1. This egg grading machine is specialized for grading eggs, no matter hen eggs, duck eggs or any other eggs. 2. This egg grading machine makes the efficiency of putting egg by artificial to the extreme. 3. It is flexible, accurate grading, reliable quality, easy to maintain. 4. It is electro-classification on weights, convenient and accurate. 5. It adopts professional design, strengthening all the parts, rich durability, easy, accurate classification. 6. Small grader, smart and convenient for all levels of egg processing industries. Before you use the egg grading machine, you should know how the egg grading machine works, first of all, eggs enter the egg grader via an infeed conveyor, where oversized, misshapen, cracked or dirty eggs can be removed; Second, the egg grading machine uses electronic weighing units to weigh sizes grading the eggs and grade eggs into four different user defined sizes/weight classes (eg: S, M, L and XL). 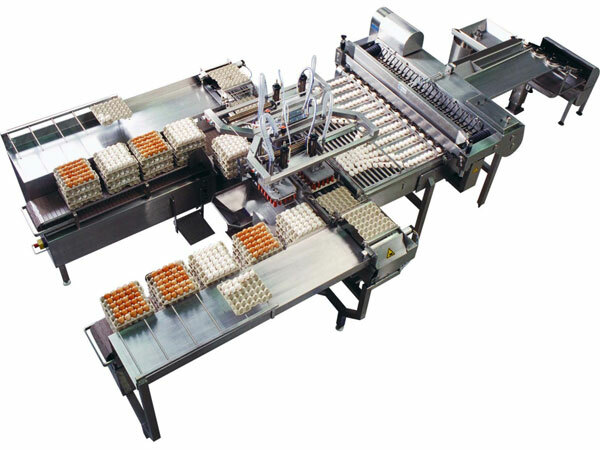 Then, most eggs are routed to the connected egg setting (packing) system; Last, non-hatching eggs are separated and routed automatically to the hand packing table for collection or optionally to another egg setting system, for separate incubation of various egg sizes. Provided by Zhengzhou Livi Machinery Manufacturing Co.,Ltd, egg washing maching Can be fully automatic cleaning with features of fast, clean, convenient, accurate, and electronic quality grading. Egg washing machine can arrange translucent test egg and spray detergent and warm water automatically. There are hot air drying system, microcomputer automatic monitoring capabilities to facilitate the modernization of enterprise management. It is necessary for clean egg processing enterprises, food processing enterprises and hatching industry to own this automated high-intensity models. We believe you will be gratified to see every clean eggs in your sight and this will indicate a good future for your poultry farming enterprise. Livi egg cleaning machine can wash hen eggs, duck eggs, goose eggs, etc. This washing machine is widely used in bakery, eggs powder factory, liquid egg processing factories, food related with egg liquid factory, etc.